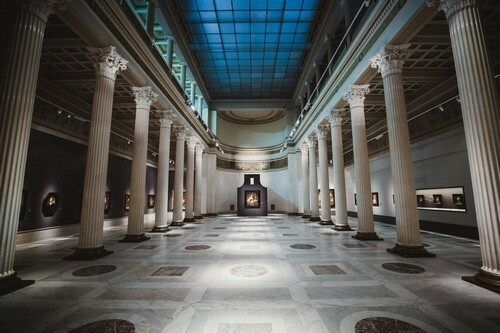 This month an exhibition of the Leiden collection opened at the Pushkin Museum. The collection belongs to a couple of collectors from New York: Thomas Kaplan and his wife, Daphne. Thomas Kaplan is the chairman of a New York City-based investment firm. Over the past fifteen years, the Kaplans put together an amazing selection of works by old Dutch masters, including Rembrandt, Frans Hals and Jan Vermeer. The Moscow Times talked to Thomas Kaplan about collecting Dutch art and the exhibition in Russia. How do you divide your time between managing an investment firm and collecting? Most of my time is spent on wildlife conservation, which is for me at least as great a passion as Rembrandt. Collecting itself maybe takes five percent of my time, when the opportunity arises. And then the balance would be on the family business — the investment company. What compelled you in 2003 to start collecting Dutch art? I found out that the art that I loved all my life could still be acquired by private collectors. I thought it was all gone — all in museums. I thought: “Well, if people are willing to sell me the art that I love, why not build a collection?” The Dutch golden age fascinates me. My educational background as a historian and a combination of passion, intellectual interest and opportunity proved to be irresistible. Rembrandt to me is the greatest artist in history — not just because of his work, but also the impact that he had on the trajectory of art, by allowing artists to express themselves with unprecedented freedom. The DNA of Rembrandt can be found in Goya, Van Gogh, Picasso, Delacroix, Turner and all the way through to Russian avant-garde and Chinese contemporary art. That’s what I would call transcendent influence. Where did you find all these Rembrandts? Most of the Rembrandts we acquired through private sales, which is my preference. I prefer the intimacy of a private transaction through dealers than auctions. If I need to compete at an auction, I will do it, but it’s my second option, Plan B. We would send out the dealers and tell them to look for what we like. There’s no guarantee that we’d buy everything that we like but if we see it we’ll give the answer within hours. And on occasion, we’d know that paintings are in private hands and we’d ask the owners if they’d be willing to sell. Have you had cases when people tried to sell you fake Rembrandts? I’ve actually had cases when people tried to sell me Rembrandts I already owned! They weren’t fake, but they didn’t know that I already bought them. There had been times when people tried to sell us paintings that were not by the artists that they claimed to be. Most of the time I don’t believe that they were being dishonest; they just didn’t understand that what they owned was not by Rembrandt. I actually think that with the old masters it’s easier to buy something that can be confirmed to be real than with modern art. There are more fakes in modern art than there are in old masters. Do you collect any other art? Our collecting began with my wife collecting 20th century design, in particular modernist furniture, primarily from European countries. I like to joke with her that she opened the door to my own obsession, which is old masters. That’s where we remain; we are not collecting anything else. How is the Moscow exhibition different from other Leiden collection exhibitions? Each exhibition has been incredibly special in its own way. To be able to have an exhibition at the Louvre is a lifetime experience. It’s very rare. The same goes for the National Museum in China. The Moscow exhibition is the largest and arguably, so far, it’s where the paintings most seem at home. Russia is a very natural place for Rembrandt: outside of the Netherlands Russia has the greatest collection of Dutch art. Are exhibitions part of your business? No, it’s a philanthropic activity. We don’t see any money from it. Where do the paintings stay between the exhibitions? We’ve never lived with even one of our paintings. In the very beginning of our collecting we realized that the art was too important to be kept to ourselves. We have lent it out 170 times to more than 40 museums around the world. Until very recently we were “anonymous collectors.” The collection is not named after ourselves — it’s named after Rembrandt’s birthplace. And that’s the way we wanted it. We were persuaded that not only should we share the paintings, but we also should share the information. In the case of each one of the artists we are probably the largest collector of their works, beginning with Rembrandt. But we also have the only Vermeer and Fabricius in private hands. Within the collection, students, curators, dealers can learn more about the careers of some of these artists than in almost any other collection, public or private. We put the catalogue online so that people could gain access to all of the scholarly information and images for free. Once we did that, the anonymity was over. That was crossing the Rubicon for us. What’s the next destination for the collection? It’s the Hermitage Museum in St. Petersburg. The exhibition will open in September. I am told that it will be different but equally beautiful. The Hermitage and the Pushkin Museum share the same catalog. From what I understand this is not your first trip to Russia. What are your impressions so far and how has the country changed? I am not an alien to Russian culture. My wife has Russian roots. My first love in classical music has been Russian: Tchaikovsky, Shostakovich, Borodin. Even today when I meditate, it’s to Tchaikovsky’s “Andante Cantabile.” And I’ve obviously read Dostoevsky and Tolstoy. So coming to Russia for me is not extraordinary as a cultural experience. What’s been extraordinary has been watching the changes over the years. I remember the mood in the 1970s as being very subdued and the Russia that I’ve been experiencing over the last twenty years has been progressively more and more energized. And this reflected in everything: the way that culture is displayed and the freedom that people have to be able to engage with you. And the food is fabulous. Did you encounter any problems organizing this exhibition because of the sanctions? No. Let me be categorical about it: we had zero problems. What do you think of US-Russia relations at this point? My background is as a historian. And I am humanist. I believe that there are many more things that unite us than divide us and the history is seasonal and so are relations between countries. I am also very big believer in the power of art to build bridges between the cultures. The exhibition is open till July 22.